The Monkees are set to return to the stage this November for a 12-date U.S. tour, marking the first time Michael Nesmith, Micky Dolenz and Peter Tork have played together since 1997. The tour kicks off at Escondido’s California Center for the Arts on November 8th and finishes at the Beacon Theatre in New York City on December 2. 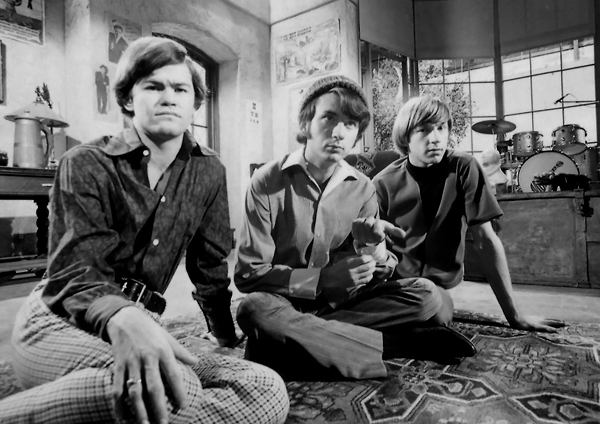 The Monkees will perform a selection of their biggest hits and deeper cuts from their first five albums, as well as music from their film Head and their TV series. Accompanying the tunes will be a multimedia show filled with rare films and photographs. Jones will be saluted “in the show’s multimedia content,” according to a statement. You can stop by here to see the full article at Rolling Stone. With the success of Sarah McLachlan‘s special symphony orchestra performances last summer, Sarah has announced a new symphony orchestra tour, which will be making stops throughout the United States and Canada. Sarah is teaming up with Tickets-for-Charity.com to offer fans access to fantastic seats and a special meet & greet opportunity to benefit the Sarah McLachlan School of Music and its mission to bring music education to young people through free music programs dedicated to inspiring confidence, creativity and a sense of community among students. These VIP Charity Packages will be available exclusively here. 6/22 – Toronto Ontario – Molson Canadian Amphitheatre – Buy Now! 6/24 – Shelburne, Vermont – The Green @ Shelburne Museum – Buy Now! 6/26 – Canandaigua, New York – Constellation Brands Marvin Sands PAC – On Sale Now! 6/27 – Toledo, Ohio – Zoo Amphitheatre – On Sale here 4/13! 7/5 – Columbia, Maryland – Merriweather Post Pavilion – On Sale Now! 7/6 – Boston, Mass. – Bank of America Pavilion – Buy Now! For ticket information, including on sale dates and times for each show, please visit her tour page here. Sarah McLachlan is teaming up with Tickets-for-Charity to offer fans access to fantastic seats and a special meet and greet opportunity to benefit the Sarah McLachlan School of Music and its mission to bring music education to young people through free music programs dedicated to inspiring confidence, creativity and a sense of community among students. These VIP Charity Packages will be available exclusively here. For ticket information, including on sale dates and times for each show, please visit Sarah McLachlan‘s site here. To learn more about his concert tour, please visit here. And, a new t-shirt has been added to the store at Christian’s official website. You can check out that item and more here. Go here to learn more about Christian Kane. Two more concert dates have been added to Sarah McLachlan‘s summer tour. June 19 – Kitchener, Ontario (Canada) at the Centre in the Square (she will perform “with friends”). The tickets go on sales on May 6. August 5 – Vancouver, British Columbia (Canada) at the Vancouver MusicFest at The Orpheum Theatre where she will perform with the Vancouver Symphony Orchestra. Tickets go on sale May 7. Due to popular demand more concert tour dates and some news faces have been added to this summer’s Glee Live In Concert. Tickets are available via Ticketmaster.com, by phone at (800) 745-3000, or at any Ticketmaster Outlet. As for the new faces being added to the tour, they include actress Ashley Fink (New Directions newbie Lauren Zizes) and an unspecified number of unnamed members of the Dalton Academy Warblers, in addition to the 13 cast members previously scheduled to perform. Will you be in the LA area on Saturday, April 16 and want to party on the actual set of Desperate Housewives? Honorary Chairman of The Cystic Fibrosis Foundation – James Denton (star of Desperate Housewives) – and Co-Chairs Mark, Michelle and Melissa Horak invite fans to attend a Wisteria Lane Block Party for one night only that will include an old-fashioned BBQ from Stonefire Grill and will include music provided by The Band from TV, featuring special guest appearance by Teri Hatcher, Chris Mostert and Neil Steubenhaus. The Band From TV is comprised of James Denton, Jesse Spencer (House), Hugh Laurie (House), Jorge Garcia (Lost and Mr. Sunshine), Greg Grunberg (Heroes), Adrian Pasdar (Heroes), Gary Cole (The Good Wife), Scott Grimes (ER) and Bob Guiney. During the block party, which will run from 6:30 PM to 11 PM on the Universal Studios backlot – fans will get to shop the super spectacular silent auction and rub elbows with celebs such as Nathan Fillion, John Huertas, Molly Quinn and Dana Delany among others [they are listed at the website below]. Please note each celebrity’s appearance is subject to availability. For more information visit the website at Wisteria Lane Block Party. WARNING: Be forewarned the ticket prices are high so tread lightly if you are on a tight budget.